Online advertising, also called Internet advertising, is a form of advertising which uses the Internet to deliver promotional marketing messages to consumers. It is in itself an extensive type of advertising that can includes search engine marketing (SEM), search engine optimization (SEO), local online advertising, banner advertising, email marketing, online video marketing, social media optimization (SMO) strategies and other forms of online outreach. The best thing about online advertising is that unlike the traditional advertising, you can measure it at its every part and can make alterations in it at any point of time while it’s running. So, you can have true value for your money by investing only on the part that’s boosting your business and keeping a check on the part that wasn’t giving any positive result or in simple words was going waste. Besides, online adverting is more targeted, measurable and cost efficient, even small businesses can successfully advertise online. And! If you have not determined these two factors in your marketing plan, do it before you advertise. Because! It will help pick your online advertising mix based on those objectives and make trade-offs between advertising prospects according to your budget. 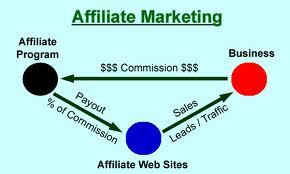 Now, comes the billing methods in online advertising that you must be aware with before you make a decision. These are always text-based advertising billed at CPC or optimized for CPA. This type of advertising that includes static or animated graphic’s ads appearing on various website pages are traditionally billed at CPM but increasingly billed at CPC. But then sometimes they may also be delivered as CPT when it comes to sponsorship ads. These ads that contain text links to your website provided within webpage content are billed at CPC. This type of advertising includes graphic or text ads delivered to subscriber lists and are billed according to CPI. These are again text or graphic ads but then paid on a CPA. Here the action could be anything a lead generation, a sale or even a sign up. In this type of advertising onetime fee is paid to bloggers who are willing to recommend your products or services, and possibly provide a link back to your website. There are a few more creative ways to advertise online but they may come with high production costs. For instance, product placements can be done in games & videos, advertorials or engaging rich media versions of display advertising such as video, special flash effects, interactive ads, etc. It is one of the most cost effective ways to advertise when your main objective is to get specific, immediate results, such as generating sales or qualified leads. As far as the distribution channel is concerned, it is comprised of a few key search engines. Examples: PPC Advertising, local online advertising, etc. This type of advertising helps you in re-enforcing your company or product brand, with the wider range objective of affecting purchasing behavior. Now it entirely depends upon the distribution channel chosen for delivery, as to how much it will cost you, it could be very expensive or very affordable. Other forms of advertising such as newsletter, paid listings, link advertising and paid blog postings can also assist your branding efforts. 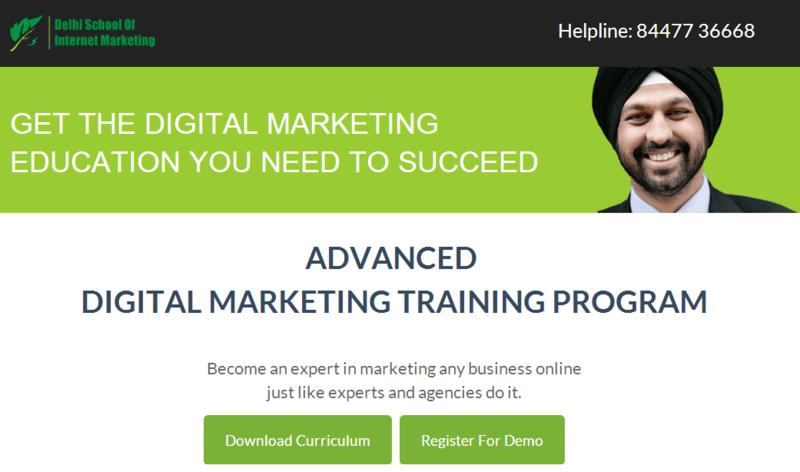 Examples: Online video marketing, Social media advertising, etc. It is a specialized fusion type of online advertising. It mainly aims at increasing sales however the graphic links that include the product logo are often preferable to text-only links. The affiliate advertiser controls the distribution network and determines the commission structure for sales generated by an affiliate member’s site. You can always implement two or all three online advertising categories depending on your purpose and budget as the lines blur between them in actual fact. At DSIM , you not only learn what is online advertising and what are its types in detail but you also get to know other very important requisites of online advertising with a comprehensive practical training. 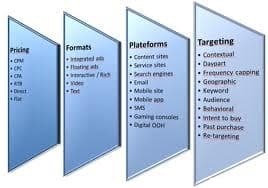 There are a few very important things in online advertising and that you must be completely acquainted with them and their technicalities such as the payment modules, tracking & measuring ROI of online advertising and allocation of funds to various online advertising platforms and so on. At DSIM , you not only acquire their know-how but you also do a lot of hands -on practice as the trainers gives you various assignments and help you hone your skills. We also tell you about companies that provide online advertising solutions if in case you need it. Besides, your concept on online advertising are already made clear here making it easier for you to take any decision about online marketing.